Autumn is my favorite time for soup. I know winter is the coldest and most soup-oriented, but I love the flavors of fall and squash soups are pretty much the tastiest thing ever. The origin of this particular soup goes back a couple weeks, when I agreed to participate in an ingredient challenge. Directions. In a large heavy bottomed pot over medium-high heat, add about 4 tablespoons of olive oil. Add the squash, onion, carrot, chili flakes, nutmeg, and season with a generous pinch of salt. 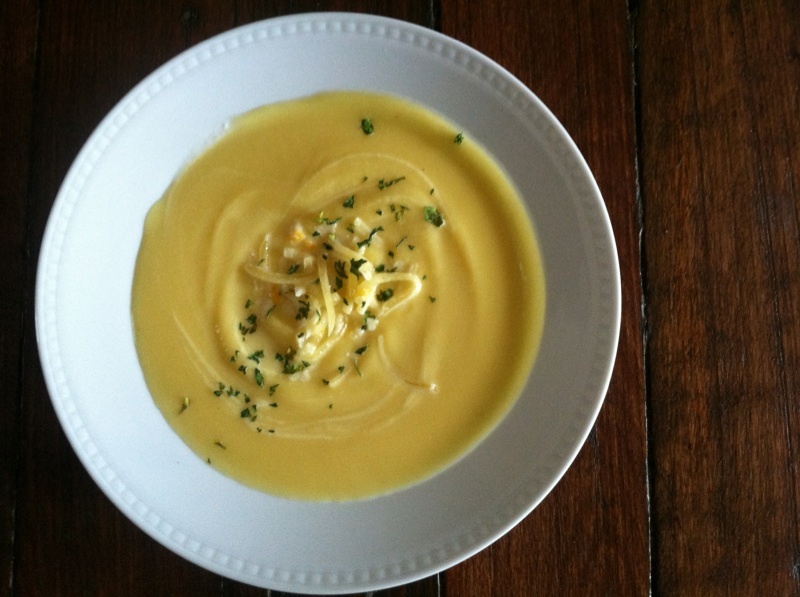 There are so many tasty squash recipes like Butternut Squash Soup, it’ll be hard to find a favorite! A good acorn squash should look deep green in color on the outside and feel heavy in your hands. Avoid squash that are cracked, mushy or leaking. Once the soup reaches a simmer, cover and let cook for approx. 5 minutes. Carefully transfer the contents of the stock pot to a blender or food processor (in batches if needed), and puree until you get the consistency you desire. 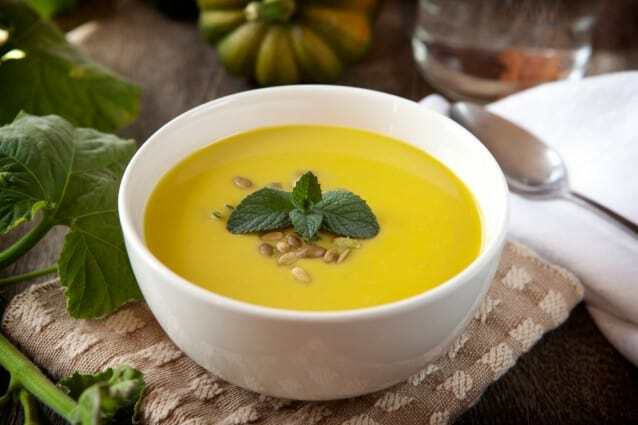 Creamy Spiced Acorn Squash Soup A perfectly creamy homemade acorn squash soup with cinnamon, nutmeg, allspice and smoked paprika. Cut down on the cooking time by pre-cooking the acorn squash in the microwave.